When Rick Hansen reached out to 10-year-old Patrick Anderson, he inspired a young boy to become the world's best wheelchair basketball player. It goes without saying that Rick Hansenhas a reputation for being inspiring. The icon behind the Man in Motion tour recently spoke to The Current's Anna Maria Tremonti about normalizing disability, increasing accessibility, and instilling a sense of potential in young people with physical impairments. Maggie Baer was listening, and wrote us to share her own connection to Hansen whom she refers to as "a remarkable Canadian hero." 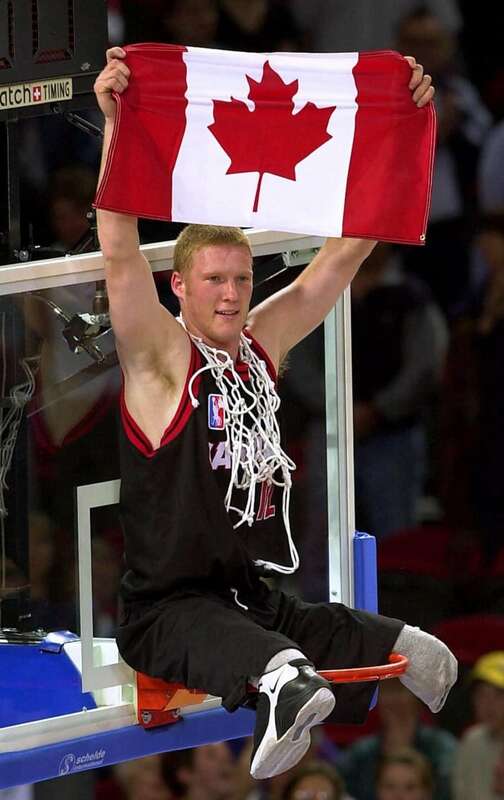 Baer's cousin is Patrick Anderson, a Canadian legend of wheelchair basketball with three gold and one silver Paralympic medals in his trophy cabinet. Anderson lost both legs below the knee after he was struck by a drunk driver, just days before his 10th birthday. Not long after returning home from hospital, he received a life-changing phone call. But it was Baer who first picked up. 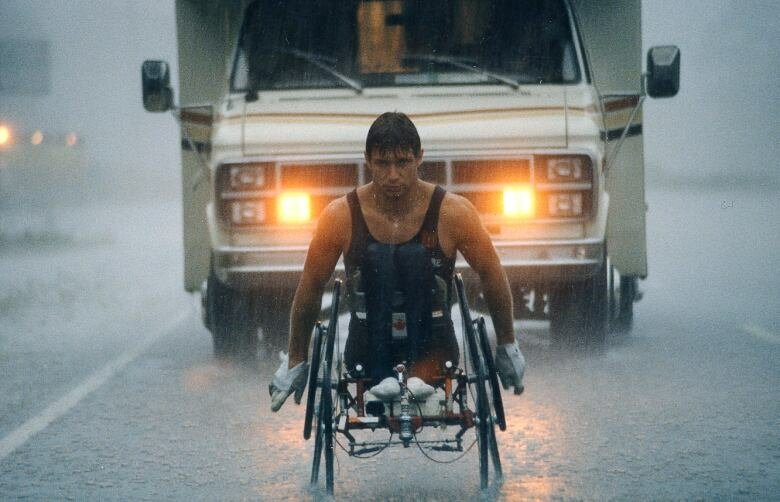 "In 1989, Rick Hansen was at the peak of his fame ... and so, you know, mundanely picking up the phone and then it's him — what!? I could barely speak," she tells The Current's Anna Maria Tremonti. "I think we all, kind of, tried to listen in on an extension." When he finally got hold of the receiver, Anderson was similarly starstruck. "Say what you want about celebrity culture but when a celebrity, with whom you identify, calls you on the phone to give you a pep talk, it's pretty memorable, powerful," Anderson says. "He, sort of, opened my eyes and expanded my horizons." As Anderson made his way through rehabilitation, he gravitated towards wheelchairs —" I could keep up with my friends better." "[Hansen] destigmatized that piece of sports equipment for me." Hansen has only praise for Anderson and his achievements, nearly 30 years after he made that memorable call. 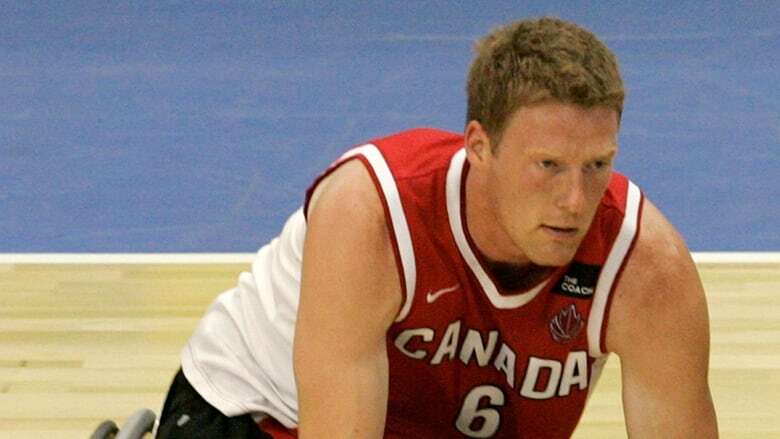 "Truly, you are the Steve Nash and Michael Jordan of wheelchair basketball and you make Canadians proud," Hansen tells Anderson. "You've shown what ability is and, you know, you're just beautiful to watch on the court but you're also a fantastic human being." Listen to the full segment near the top of this web post. This segment was produced by The Current's Lara O'Brien.